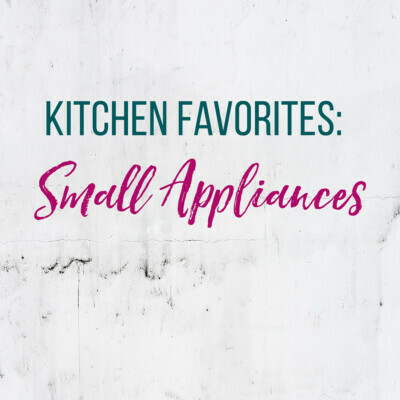 I love potato side dishes because they are cheap, filling, and almost everyone likes them. 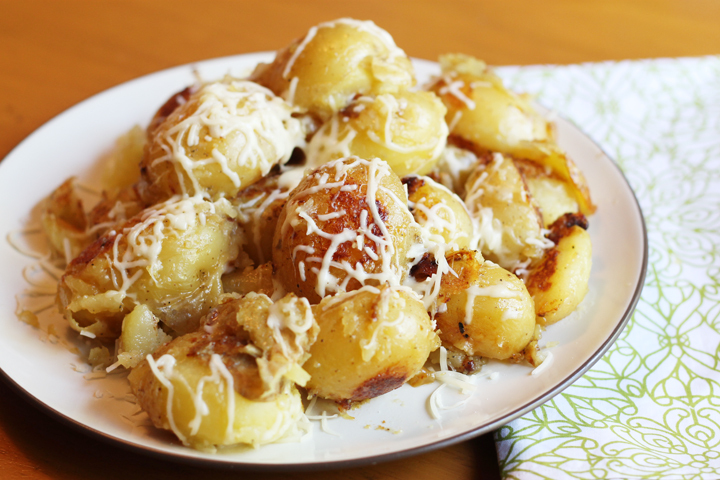 When I saw this potato recipe on the Rachael Ray show, I knew I had to give them a try. 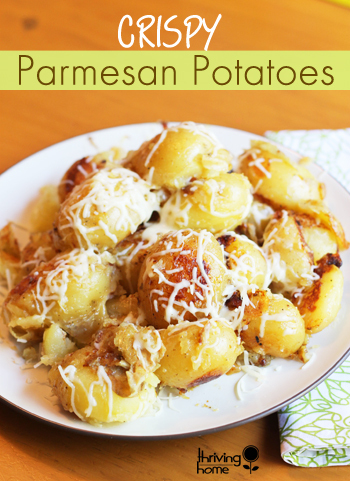 She calls them “Butter and Parm Squished Potatoes” but I renamed them since I didn’t really squish mine like she did. I had never cooked potatoes this way but the idea intrigued me. They turned out great and I for sure plan to make this recipe part of the rotation. Just look at them! Yum! Start by washing about 2 pounds of Yukon potatoes. 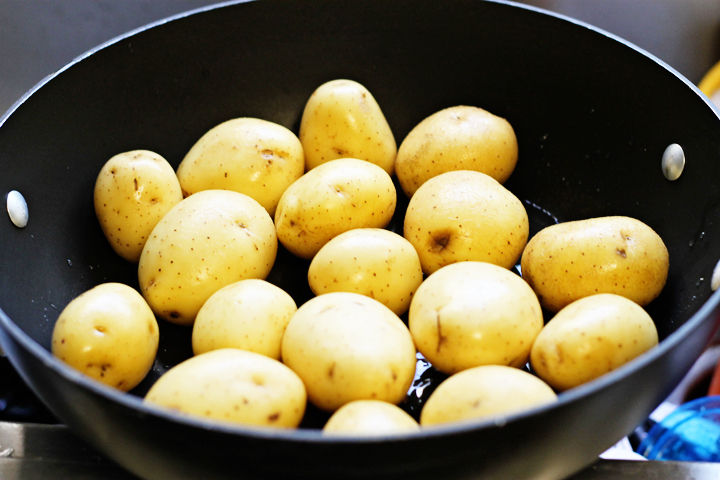 Put the potatoes in a medium pot or skillet in a single layer. Pour in enough chicken stock to come up 1/4-inch of the sides of the potatoes, and add the extra-virgin olive oil. Cover the pot and bring the chicken stock to a boil. Reduce heat to simmer and steam for 10-15 minutes. Test to make sure potatoes have softened a bit. If so, remove the lid, raise the heat, and continue to cook until all of the chicken stock has been reduced (evaporated). When the stock evaporates, squish the potatoes to flatten them a bit with a masher. 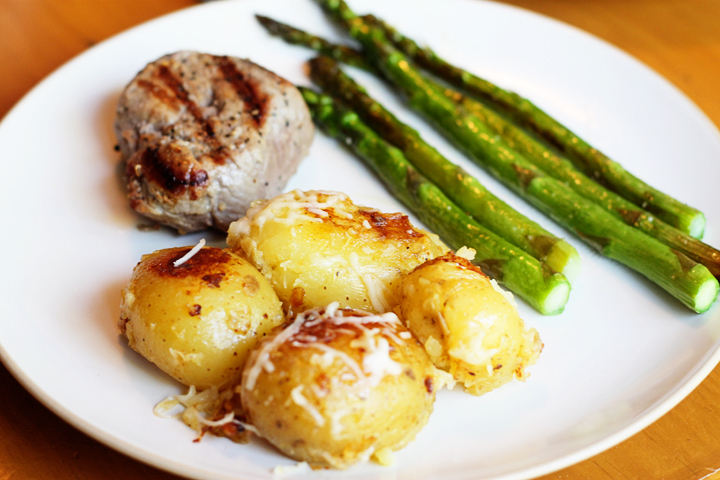 Cook a little longer to crisp the potatoes a few minutes on each side, then season with black pepper. Stir in the butter and cheese and toss. 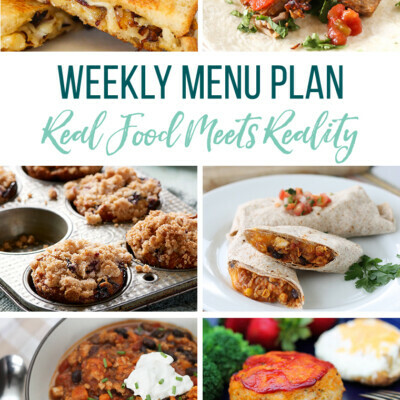 Make sure to pin this recipe for future dinners! 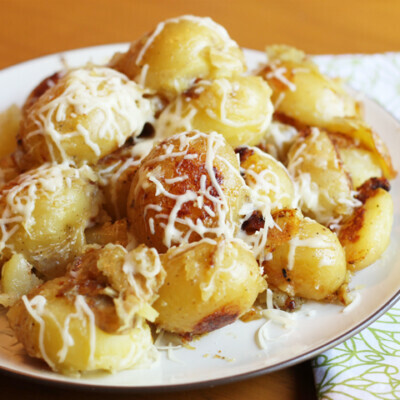 Delicate yukon gold potatoes are steamed and then covered in butter and parmesan cheese. Quite likely to become your next favorite side dish. 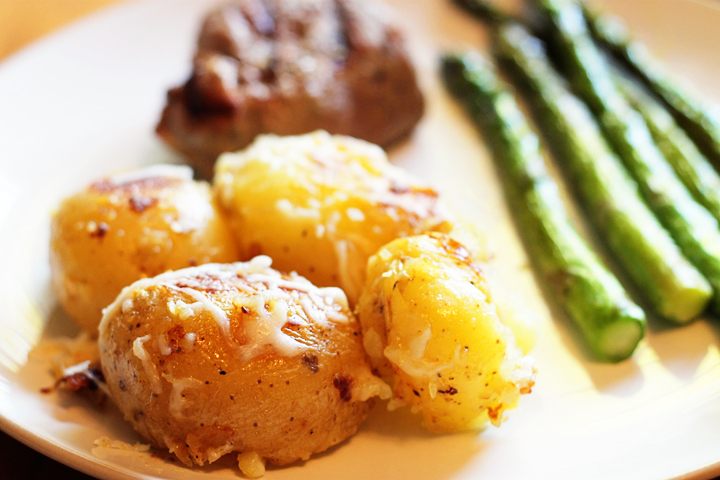 Put the potatoes in a medium pot or skillet in a single layer. Pour in enough chicken stock to come 1/4-inch up the sides of potatoes. Add the extra-virgin olive oil. Cover, bring chicken stock to a boil, reduce heat to simmer, and steam for 10-15 minutes. 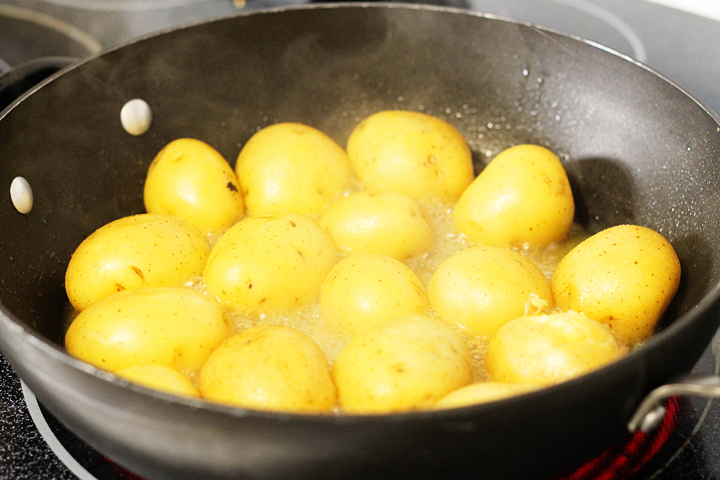 When the stock evaporates, squish potatoes to flatten them a bit with a masher or fork. Crisp the potatoes a few minutes on each side, then season with black pepper. Stir in the butter and cheese and toss. 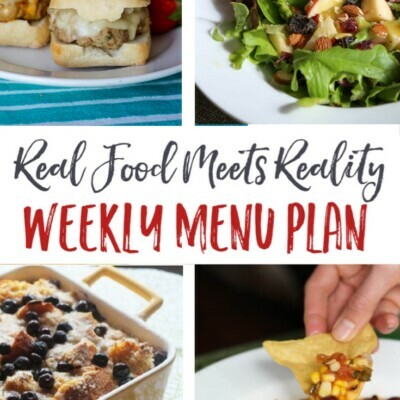 I just want to say thank you for your efforts and time in posting healthy recipes for families. 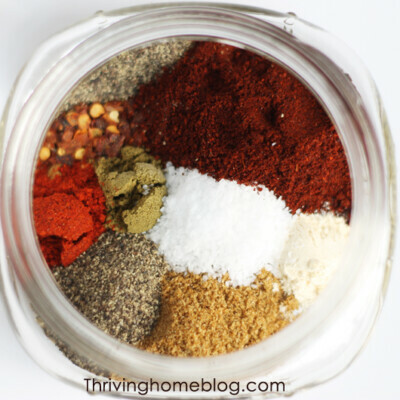 I was praying to God about my eating habits and came across your blog-may God bless you in all you do! Mom of two who wants to instill healthy eating habits in them. When I try to click on save to save the recipie to my zip list a pin it button comes up, just like with all the pictures. This makes it impossible to save the recipie. I can click print with no problem, I just can’t use the save button. 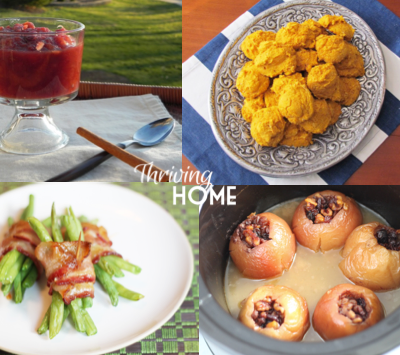 Thanks for sharing the recipie, those look awesome! Thanks for the heads up, Sarah. We’ll look into the problem. So sorry for the trouble!